When older buildings with deteriorated terra cotta facades need restoration, Stromberg GFRC can help. 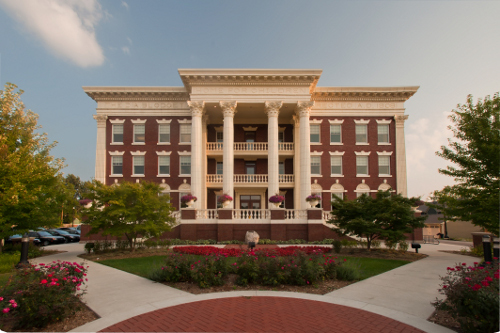 Owners and restoration specialists have found that terra cotta brackets, columns, cornices, pilasters, and decorative friezes can all be precisely reproduced by Stromberg GFRC. A survey is made of the building to determine which terra cotta elements need replaced. Shop drawings are created that illustrate the GFRC parts, connections and their locations. Drawings and samples are submitted for approval. Molds are made from existing terra cotta pieces or pieces are re sculpted based on old photos or drawings. Get started on your terra cotta replication project today. Call us at 903-454-0904 to begin.